Conventional wisdom going to back to Ancient Greece holds that democracy and middle-class prosperity are self-reinforcing. A large and comfortable middle class is the best bulwark against unrepresentative and authoritarian politics, and democratic government is the middle class’ tool of choice for ensuring economic security and protecting rights and freedoms. But what does the future hold for democracy if it cannot deliver on the promise of middle-class prosperity? From Egypt to Thailand we are seeing the middle classes tiring of political instability and economic uncertainty often ushered in by democratic rule. The largest middle class in history is emerging in China under a staunchly authoritarian regime – does this foreshadow a spread of the model of wealth without democracy? 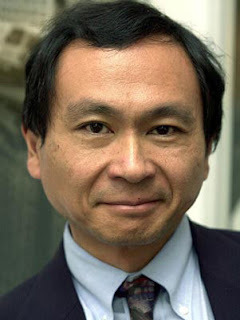 American political scientist and political economist Professor Francis Fukuyama, perhaps best known for his book The End of History and the Last Man, is the Centre’s special guest for this year’s Big Ideas Forum. Professor Fukuyama is the Olivier Nomellini Senior Fellow at the Freeman Spogli Institute for International Studies at Stanford University. He will be joined by Professor John Keane, Bernard Salt and Benjamin Herscovitch. Professor Keane is Director of the newly-founded initiative OnDemocracy.org and the Institute for Democracy and Human Rights, as well as Professor of Politics at the University of Sydney and Wissenschaftszentrum Berlin. Bernard Salt is a best-selling author, twice-weekly columnist with The Australian newspaper, and head of a group of consultants within KPMG providing demographic advice to business and government. Bernard is a popular social commentator and appears regularly on radio and television programs including 7:30 Report, Sunrise, Today Tonight, A Current Affair and 60 Minutes. Benjamin Herscovitch is Policy Analyst with the CIS’ Social Foundations Program and our Beijing-based China correspondent. Prior to joining CIS Benjamin was with DFAT where he served on the Pakistan desk and worked on public diplomacy programs. He recently submitted a PhD thesis that advances a liberal theory of federalism. We hope you can join us as examine this issue of central importance to global democracy. A question and answer session will allow for guest participation in the discussion.